CarGurus has 74,347 nationwide Camry listings starting at $1,100. The 2005 Toyota Camry is largely unchanged from 2002, when it was completely redesigned, but it does have a few new touches. The 2005 Camry got a new grille, headlamps and taillights to bring it into fashion with cars of the time. In addition, all trim levels are available with anti-lock breaks. The 2005 Toyota Camry comes in four trim levels. The base model offers amenities such as cruise control, power windows and an AM/FM/CD stereo. The LE adds an upgraded interior, keyless entry and 15-inch aluminum wheels. The SE, which is the sportiest of the bunch, comes with higher rate springs and shocks, anti-roll bars and 16-inch wheels. The XLE is the most luxurious model, coming equipped with features such as power seats, a six-disc in-dash CD changer and wood-grain interior. The 2005 Camry comes standard with a 160 horsepower, 2.4-liter four-cylinder engine and manual transmission, although a more powerful engine option is available in the LE, SE and XLE models, and all can be upgraded to an automatic transmission. Like its predecessors, the 2005 Toyota Camry is highly regarded for its reliability and no-nonsense, straightforward appeal. Drivers also rate it highly for its smooth handling and good gas mileage, which is about 24 city/34 highway. Some owners have complained about its lack of pickup, but the Camry is not meant for drivers looking for a racecar. Another complaint is that visibility out the rear window is limited. 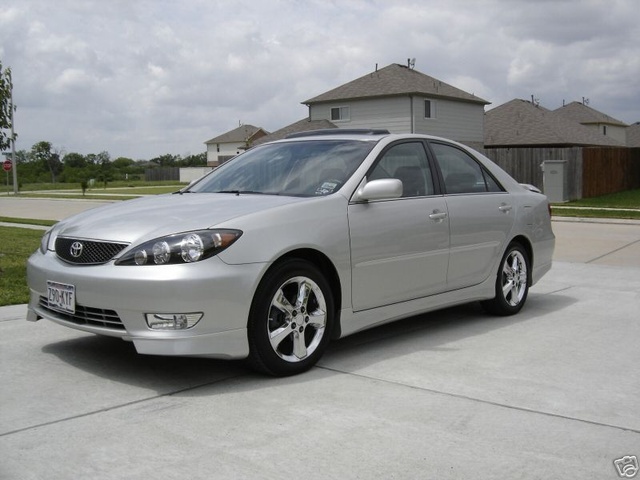 What's your take on the 2005 Toyota Camry? 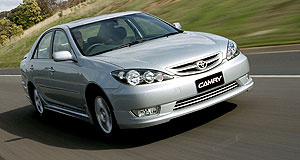 Users ranked 2005 Toyota Camry against other cars which they drove/owned. Each ranking was based on 9 categories. Here is the summary of top rankings. 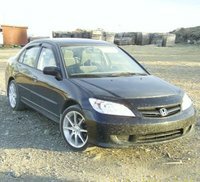 Have you driven a 2005 Toyota Camry? I have a 05 Toyota Camry that start in park but dies but if in neutral it stays running and if you turn the heat on it dies. My 2005 Toyota Camry 2.4L randomly won't start or it will randomly die while driving. It idles weird as well.